Mendys Baseball Memorabilia Blog » Baseball in November??? Since the Mets won last night, that means tonight’s Game 4 is an elimination game is NOT an elimination game, which means, for only the fourth time ever…there will be baseball played in November. I mean, it’s crazy to think about! Today is Halloween and the 2015 Baseball season is still going on. Tomorrow would start the SEVENTH month of baseball this season. When you think of the World Series, you think of October. 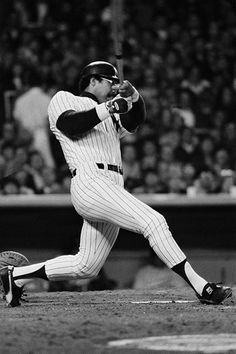 Reggie Jackson was Mr. October. It’s called the Fall Classic. The first time the World Series even stretched into November was during the 2001 series, when the regular season was pushed back 6 days due to 9/11. Game 7 of the ’01 Series between the Yankees and Diamondbacks was played on November 4th. The first November-scheduled World Series was in 2009 (Yankees vs Phillies) as the 2009 season started late due to World Baseball Classic. In 2010, the season was slated to start on April 5th, a week later than previous seasons, which resulted in World Series Game 5 (Giants vs Rangers) to be played November 1st. The Giants won the championship in that game. If this series goes 7 games, Game 7 will be played on November 4th, which ties the 2001 and 2009 series for latest game.